Got a thirst for blood? 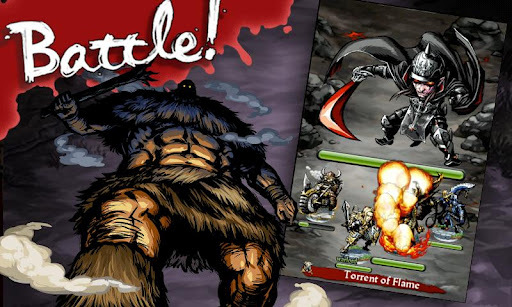 Our beginner's guide will help you sink your teeth into Mobage's new game. 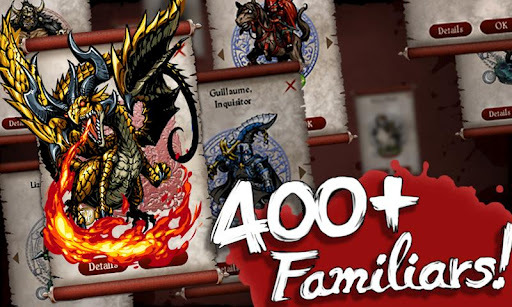 Earlier today we reviewed Mobage's great new Android title Blood Brothers. 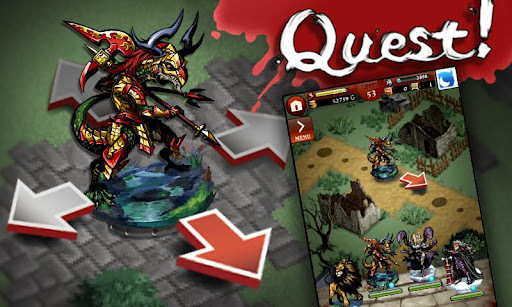 A pocket RPG with a focus on collectibles, there's plenty to wrap your head around when you first play the game. We've put together some handy tips for this brand-new title, along with the low-down on all the important information you're going to need to know when you start out. Here's an overview of each of the classes available in Blood Brothers, including their dominant stats, their play-style, and special moves. Most of these conform to established RPG archetypes, so if you've any experience in the genre then you should have no trouble picking one out that's perfect for you. A strong fighter who blends protection with devastating damage. Gets you out of even the toughest fights with an emergency heal. Specializes in getting the first punch in, and delivering a high damage output after that. The first mage archetype, this character offers devastating damage on the battlefield. Forgoing defense for even greater damage, this is for those players who like to go in thick and fast. and worry about the consequences later. Another high-damage character who favors brute force over defenses. A DPS warrior with a few magical tricks up his sleeves. Your traditional glass-cannon fire mage with all the destructive power you'd expect from the class. Over at the Forge Pact area, you can get some brand-new familiars in exchange for those chunky coins you've been collecting. Different colored coins have a higher value when it comes to summoning new, random familiars. For a guaranteed rare familiar, you'll need to use some of your real-world money to take part in the appropriate lottery. You can also acquire new allies and minions from the enemies slain on your adventure. There are two different rituals you can cast after a victory that will ensnare them, but only the Heartsblood ritual guarantees success. Think twice before wasting these on any old capture though, because sooner or later you're bound to encounter an awesome creature that you can't live without. After the tutorial, you'll be prompted to add a friend code in exchange for some nice gold and coin rewards. If you don't have one available at the time, you can head back to the ID submission page from the main page by hitting the Info button and submitting it later. Note however that you need to submit a code within three days of downloading the game to receive the reward. Looking for your own ID to share within the community? Head to the Board section of the main menu and your ID will be listed in very small writing in the bottom right-hand corner of the screen. There's no point have two of the same creatures in your collection if only one of them ever gets used. Over in the Evolution section, you can select two creatures and (for a currency cost) sacrifice one of them to enhance the surviving creature's stats. 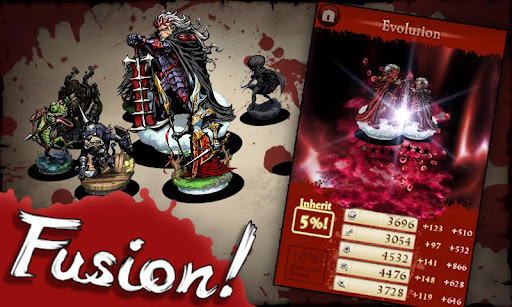 You can only evolve creatures so far however, and different beasts have different evolution limits, displayed in the game. Do get into the habit of checking out your Wagon from the main screen. From time to time you'll be awarded various bonus items (mainly currency) which are yours for the taking, for tree. Get into the habit of checking it out whenever you log in. "Man-shaped root that multiples to fill rations." "Alchemical remedy that recalls a single familiar." "Recalls fallen familiars and restores HP of the wounded." "Always binds a captive to you as a familiar."